1987 Ibiza anniversary. . HD Wallpaper and background images in the Freddie MErcury club tagged: freddie mercury ibiza 1987. 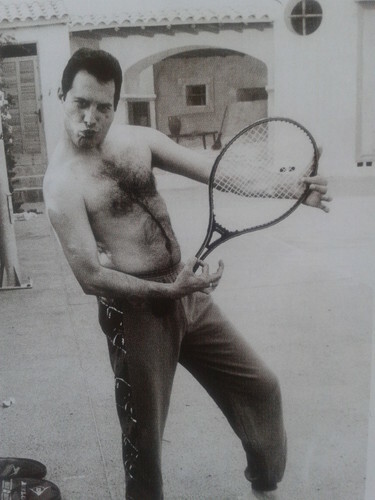 This Freddie MErcury photo might contain racchetta da tennis. black & white Freddie pics. Want to break free !